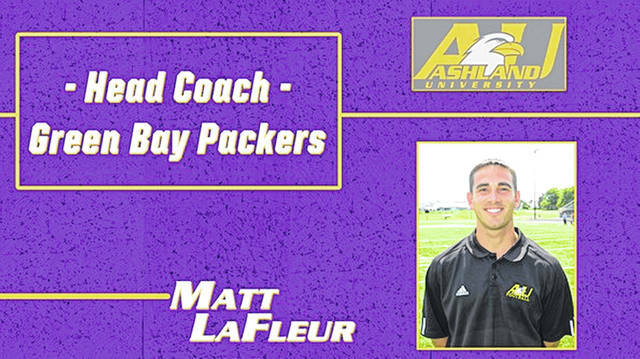 Former Ashland University offensive coordinator Matt LaFleur is reportedly the new head coach of the NFL’s Green Bay Packers. ASHLAND — A former Ashland University offensive coordinator will be the next Green Bay Packers head coach, according to several published reports. 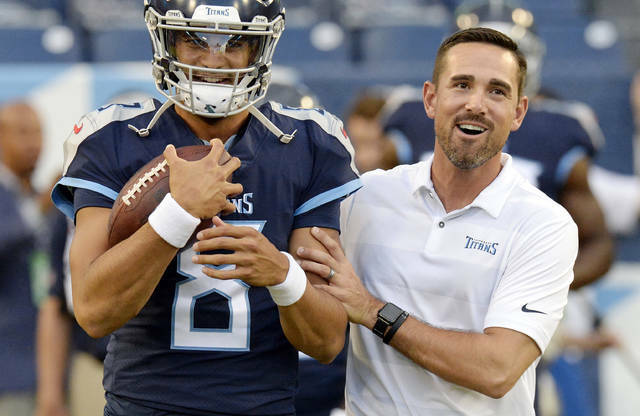 Matt LaFleur, 39, who led the Eagles offense in 2007, has reportedly accepted an offer to guide the team with an offense led by quarterback Aaron Rodgers. The Packers fired long-time head coach Mike McCarthy after a week 13 loss to the Arizona Cardinals. Green Bay finished the season 6-9-1 and missed the playoffs for a second straight season. In his sole season at AU, the Eagles (8-2) averaged 44 points per game and topped 50 points in a game four times. LaFleur has spent the past two seasons as an offensive coordinator for Tennessee (2018) and the Los Angeles Rams (2017). He was the QB coach for Atlanta during 2015-2016, including the Falcons’ Super Bowl team. LaFleur played wide receiver at Western Michigan University in 1998-1999 before transferring to play QB at Saginaw Valley State in 2000-2002. He played briefly in the National Indoor Football League before beginning his coaching career as an offensive assistant at Saginaw Valley State in 2003.